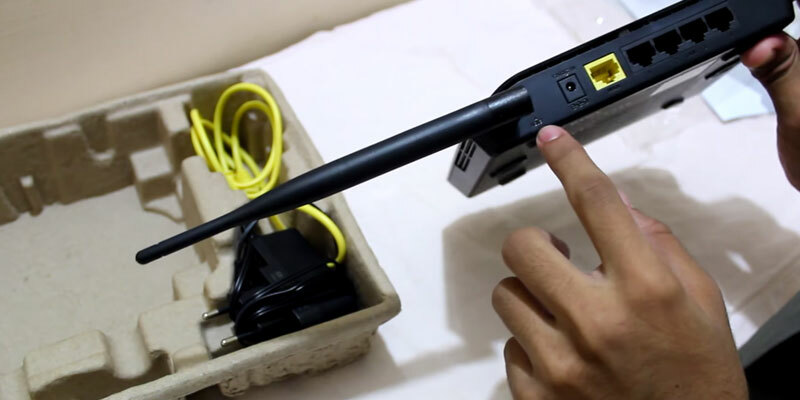 The device at hand isn't just a router but also an ADSL modem, meaning you will be able to use your telephone line through the input type RJ-11 to connect to the Internet. You will have the option of mounting it on a wall or placing it horizontally on any kind of surface. Quality of Service (QoS) technology will allow you to distribute traffic. The maximum speed you'll be able to reach through an RJ-11 port caps at 24 Mbps. 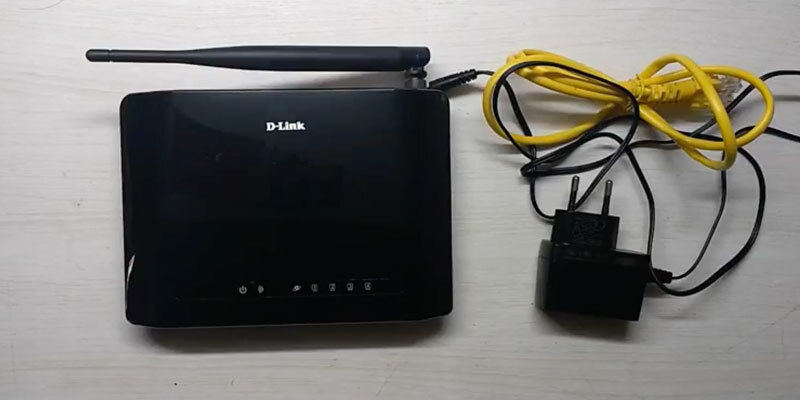 D-Link DSL-2750U Wireless ADSL2 + Router is one of the most versatile and flexible options on the market that will be able to accommodate the majority of customers out there but would be especially helpful to those with DSL Internet connections. 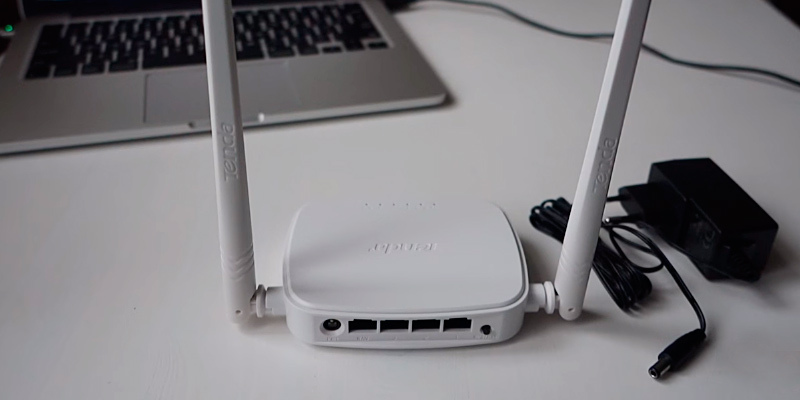 This router comes equipped with a double firewall protection (SPI and NAT firewall) system and that means that no spyware or malware will be able to infiltrate your computer. Plus, with a Denial-of-service (DoS) attack prevention feature, you won't have to worry about your online opponents throwing a monkey wrench into your plans by causing your Internet connection to lag incessantly. Some models come with an outdated software that needs to be updated. NETGEAR WNR614 Wi-Fi Router is exactly the kind of reliable and secure model that any gamer would be able to appreciate. And since this device meets the demands of the gaming crowd, it will absolutely be able to satisfy a more casual audience. Thanks to the Quick Setup Assistant, the user can quickly and easily set up a secure network in the office or at home. The signal transmission doesn't interfere with obstacles in a room, while the IP QoS function enables the user to create an individual throughput for each of the connected devices. A white case is easily soiled. 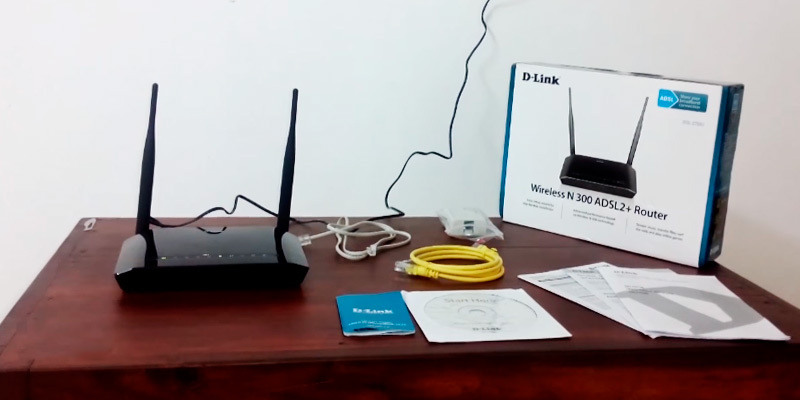 The TP-Link router is a simple solution to setting up a wireless Internet network in your home. 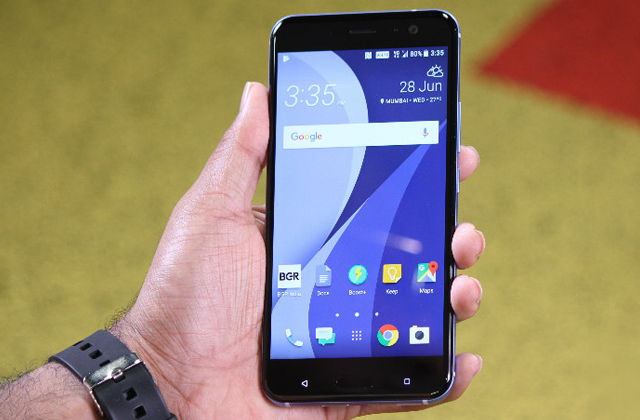 In spite of its low price, its functionality is on par with more expensive models. The D-Link DIR-600M is distinguished for its compact dimensions, minimal system requirements, and full compatibility with all operating systems. The possibility to quickly set it up through different browsers is an added bonus. A low data transmission speed. 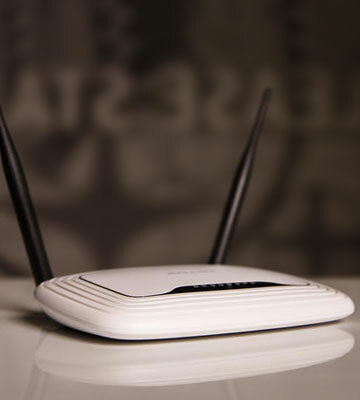 Should you need a cost-effective wireless router, this model can be the answer. It will provide stable Internet connection, preventing unauthorised access. The model requires three easy steps to get your secure wireless network up and running. It features a port forwarding option. On top of that, this router also comes equipped with a parental control system that will allow you to filter websites, clients, and MAC addresses. 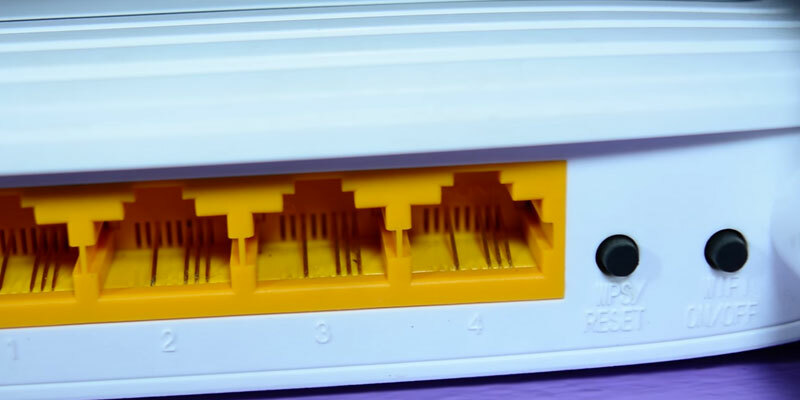 There are only three RJ-45 Ethernet ports. Tenda N301 Wireless Easy Setup Router is one of the best wireless routers out there for a casual crowd. Even though this is a relatively cheap model, its specifications do not trail behind compared to most high-end routers out there. 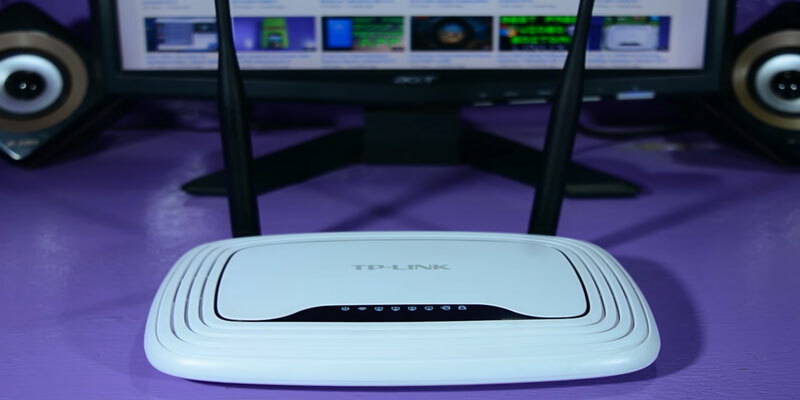 As we have mentioned earlier, there are quite a few things you ought to consider before purchasing a fitting wireless router, from the maximum range of the signal and the data transfer rate to the number of ports it features and the type of control options it comes with. With such a variety of elements, you may inevitably feel that you'll have to compromise on some of these aspects in order to find the right option. And while that is certainly the way it usually goes, this isn't the case with the D-Link DSL-2750U Wireless ADSL2 + Router since the model in question more or less delivers on all of these aspects. Albeit this isn't the cheapest router on the market, you will be hard-pressed to find a better model in terms of an overall package. Though we will delve a bit deeper into all of the elements that make this model arguably the best wireless router in terms of versatility and flexibility, we would like to first point out the fact that the device at hand isn't just a router but also an ADSL modem, meaning you will be able to use your telephone line through the input type RJ-11 to connect to the Internet. 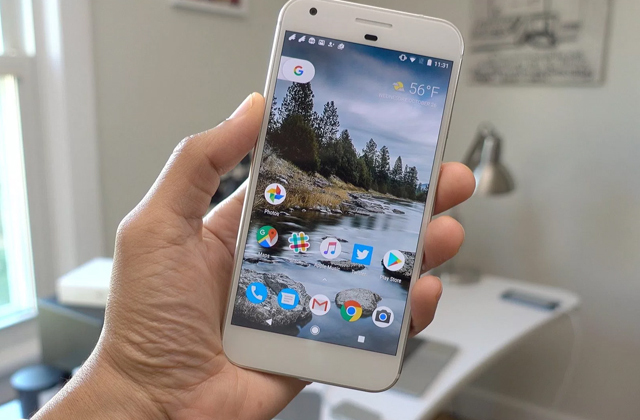 The technology is supported by Internet Service Providers like MTNL, BSNL, Airtel, Reliance Communication, and Tata Indicom, so there are plenty of users that will be able to appreciate this nice little option. Aside from the DSL connection that will be paramount for plenty of customers, the model comes with four RJ-45 Ethernet ports, meaning this will be a great choice for office use just as well as it would fit any household. The device itself features a sleek and modern design in an onyx black colour that will be able to seamlessly blend in regardless of the room's interior. Though a versatile and rather complicated model, the installation process is as quick and easy as it gets, so you will unlikely need a specialist to set this thing up. Furthermore, you will have the option of mounting it on a wall or placing it horizontally on any kind of surface, providing just a touch of convenience that few routers out there are capable of offering. 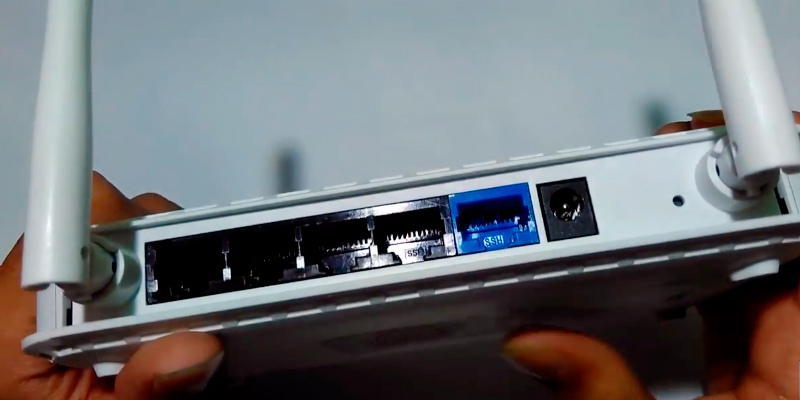 As we have mentioned earlier, you will have 4 LAN ports and a DSL input to connect to the Internet. But this is a wireless router after all, so it wouldn't be worth a dime without the ability to provide a wireless connection. And, from a model like that, we wouldn't expect any less than a data transfer rate of 300 Mbps to satisfy all of your Internet needs. You could have an entire family making VoIP calls, streaming HD video, and playing online games and this device would still be able to deliver a high speed and stable connection to every single member of the family. On top of that, you won't have to worry about where to place this reliable source of the Internet in order to receive the said connection thanks to a couple of omni-directional antennas that are capable of creating an extended coverage area with advanced wireless performance. With plenty of people utilising the same source of bandwidth, there's always the problem of somebody pulling the proverbial blanket in his own direction, leaving everybody else with subpar speed. 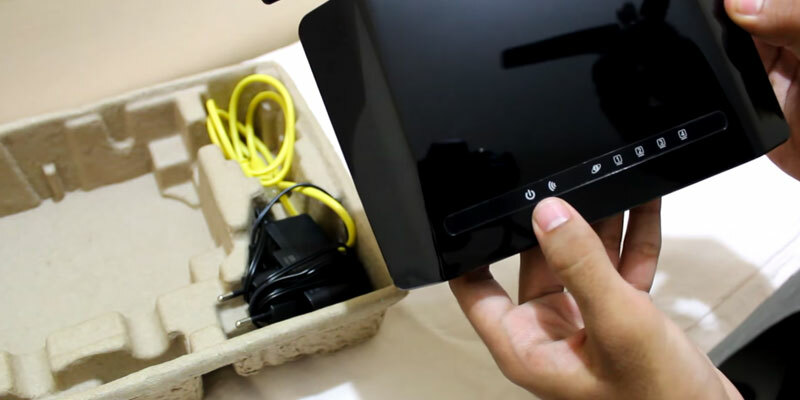 On the contrary, this high-speed wireless router makes a noticeable effort in relieving you of this issue with the help of the Quality of Service (QoS) technology. Without going into technical details, this feature essentially splits wired and wireless traffic into distinct data streams, which, in turn, allows you to prioritise your applications and distribute traffic the way you see fit. On top of everything else, this router includes all of the advanced security features that you'd be able to find in the majority of high-end models, including but not limited to IP filtering, MAC address binding, and a variety of security encryptions. 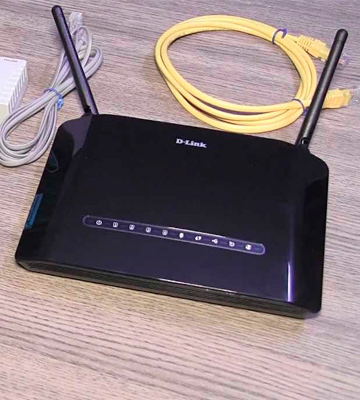 In conclusion, the D-Link DSL-2750U Wireless ADSL2 + Router is one of the most versatile and flexible options on the market that will be able to accommodate the majority of customers out there but would be especially helpful to those with DSL Internet connections. The possible number of applications a reliable Internet connection could offer you have always been virtually limitless and it certainly doesn't seem like that number is going to diminish any time soon. But one of the most popular ways people have always utilised the Internet was to gain access to online gaming. And that shouldn't come as any surprise since playing online can serve not just as a great source of entertainment but also a way of connecting with a myriad of like-minded individuals that share a variety of similar interests. The only real downside of online gaming is that it requires a fast, reliable, and stable connection. There a lot of things that can go wrong in a complicated game and a multitude of people often rely on you to execute your in-game strategy and react accordingly. 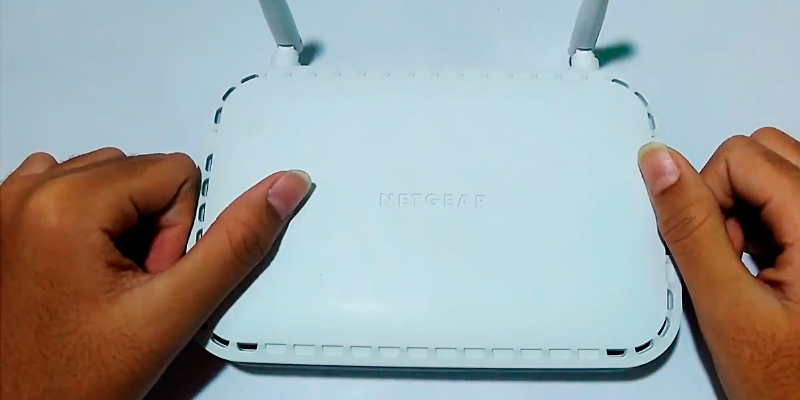 And while that is quite a burden to put on a router, there are very few models out there that would fit the aforementioned requirements better than the NETGEAR WNR614 Wi-Fi Router. 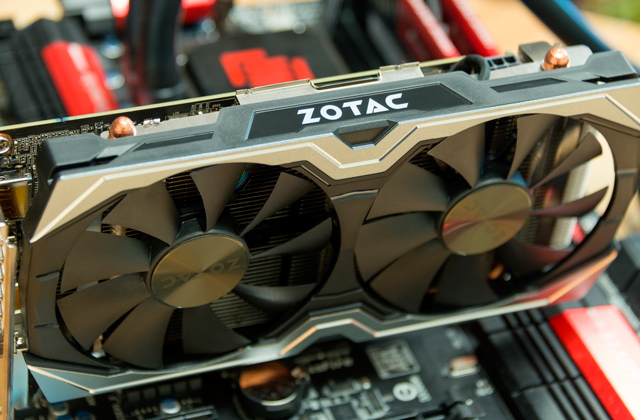 There are quite a lot of things that online gaming demands out of a router and this model effortlessly executes most of them, but the biggest requirement is the kind of connection that would be able to handle the most intense gaming sessions without letting the user down for even a second and that is where this device absolutely shines. So, what is it exactly that makes this Netgear wireless router such an alluring option for gamers? 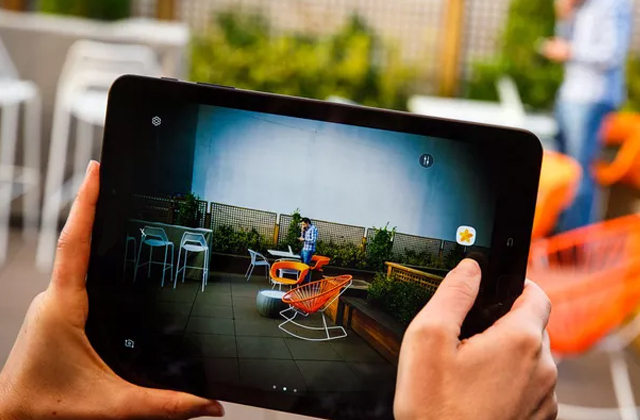 Well, as we have pointed out earlier, what the gaming crowd needs first and foremost is a stable and reliable connection and the model implements quite a variety of features to ensure this goal. First of all, this router comes equipped with a double firewall protection (SPI and NAT firewall) system and that means that no spyware or malware will be able to infiltrate your computer and certainly won't have the opportunity to gain access to your personal information. But the manufacturer didn't stop there and incorporated a Denial-of-service (DoS) attack prevention feature, so you won't have to worry about your devious online opponents throwing a monkey wrench into your plans by causing your Internet connection to lag incessantly. On top of that, there's also the Exposed Host (DMZ) function that is absolutely paramount if you'd like to set up a secure gaming session with two or more people using the same source of Internet. 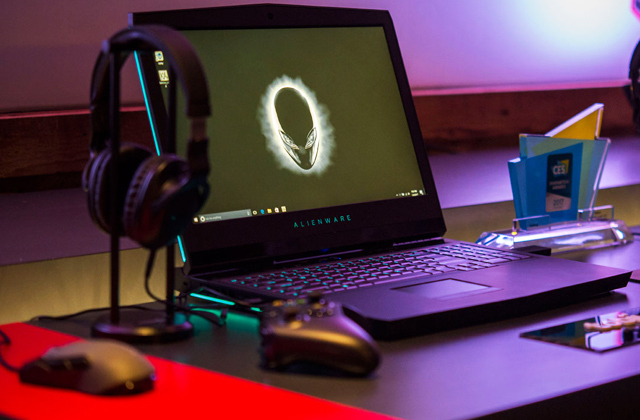 Now, we have been talking exclusively about how this device is a great choice for gamers, which may lead some people to believe that this isn't something they ought to consider if they don't play video games. And while that might seem like a logical conclusion, this kind of thought process could not be more wrong. The thing is, gamers are the most demanding crowd in terms of Internet-related products, so something that will suit these people will absolutely satisfy any other customer out there. 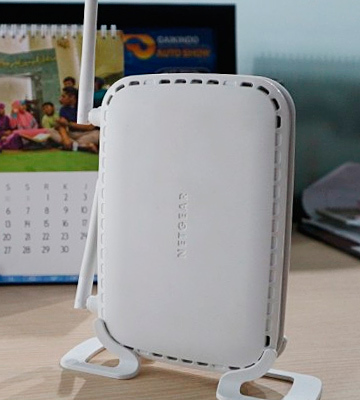 For instance, this portable wireless router comes with 2 external antennas, meaning it will be able to provide an improved Wi-Fi coverage that will be perfect for a relatively large household or a small office. 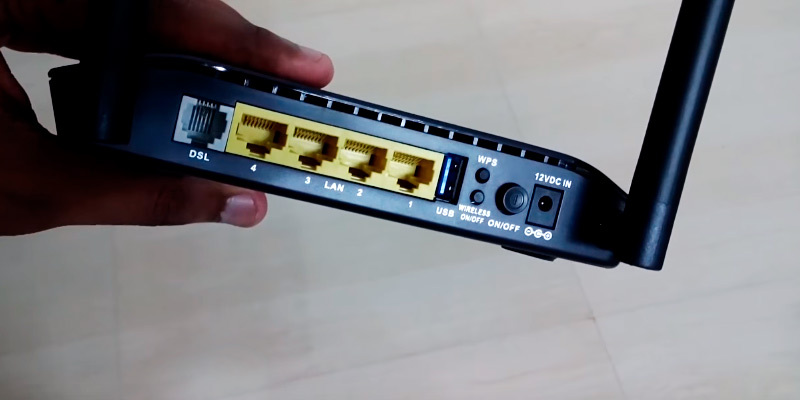 The model also includes an input type RJ-45 (Ethernet Cable) which is supported by cable broadband ISPs such as Hathway, ACT, Tikona, Airtel Fibrenet, MyWorld, Nextra, Siti Cable, You Broadband, Spectranet etc. As you are probably aware of or, at the very least, might imagine, gamers also aren't the kind of audience that will tolerate a slow connection and that is exactly why the company behind this router equipped it with a data transfer rate of 300 Mbps, which would be enough for an entire household to enjoy online gaming, HD video streaming, and VoIP conversations at the same time. Furthermore, in case you aren't the most technologically savvy person, this powerful wireless router has you covered as well with an easy installation process that will allow you to start enjoying the model right out of the box. Well, that should be enough for one review. To sum it all up, the NETGEAR WNR614 Wi-Fi Router is exactly the kind of reliable and secure model that any gamer would be able to appreciate. And since this device meets the demands of the gaming crowd, it will absolutely be able to satisfy a more casual audience. The TP-LINK router can help you connect all your electronic devices and digital gadgets in one home network. No matter how many Wi-Fi-enabled devices you've got, you will take advantage of great wireless Internet connection speed which reaches up to 300 megabits per second. 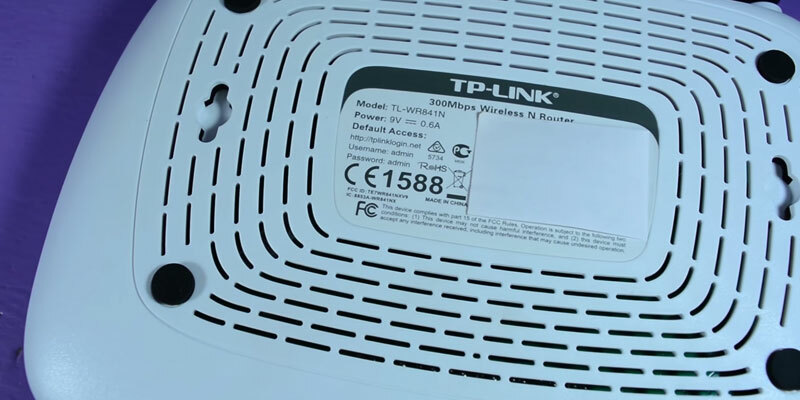 The design of the TP-LINK TL-WR841N isn't unique. It's got a classic shape with rounded edges. The body is white, which isn't particularly a good thing, considering that white color gets soiled easily. So, we wouldn't recommend you to put it on a display where it will collect dust. On the note of design, the TP-LINK router has two external unremovable antennas. Unless you ever decide to substitute them for more powerful ones, this shouldn't be an issue. Besides, according to consumers, the antennas enable very good signal transmission even through walls. If your flat (or office) is small, the signal will reach the most remote rooms. 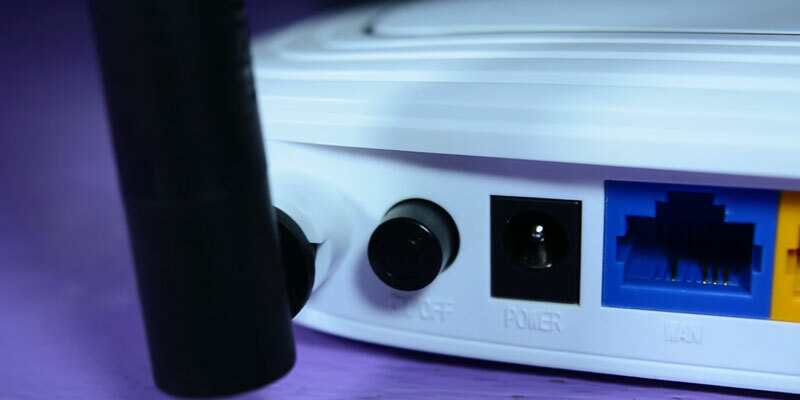 The router also features ventilation holes that prevent the motherboard from overheating. 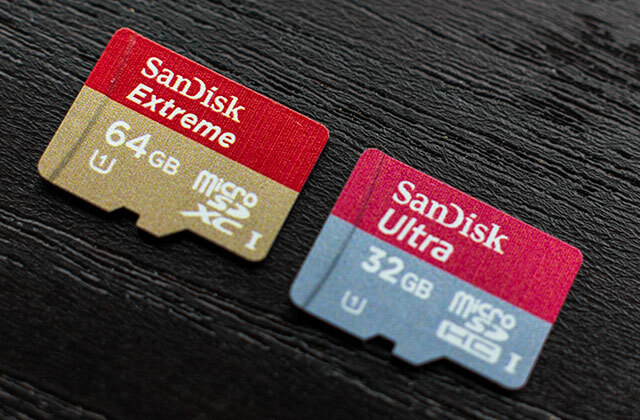 It is fitted with a power 550 MHz processor and 32 megabytes of internal memory for data and firmware. Unfortunately, though, there's no USB port on the router, so firmware can be done only through a cable connection. As for the settings, users are provided with a convenient and functional web interface where they can find all guides and tips for configuring the network. The settings are displayed in a separate menu so you can clearly see where to look for this or that function. Through this menu, you can create a parental control, disabling certain Internet resources for your children's direct access. The password and login to the menu are written at the rear of the router. Speaking of security features, a built-in firewall protects the router from dos and other virus attacks. To check the router's performance, you will not need to log in the menu all the time. For your convenience, there are several LED indicators on the front panel. If one of the functions does not work, the corresponding indicator will stop to light. Thanks to the Quick Setup function, even a beginner will have no difficulty to start using the router. Just turn it on and connect to the Internet from your laptop or smartphone. If your PC has a large data set and you would like to have access to it permanently, a portable network storage unit is a perfect solution. It is an array of hard drives connected to the Internet with access anywhere in the world. Basically, it can become a kind of a cloud service that you'll be able to access and manage no matter where you are. Any router must have good functionality and acceptable data transmission speed. 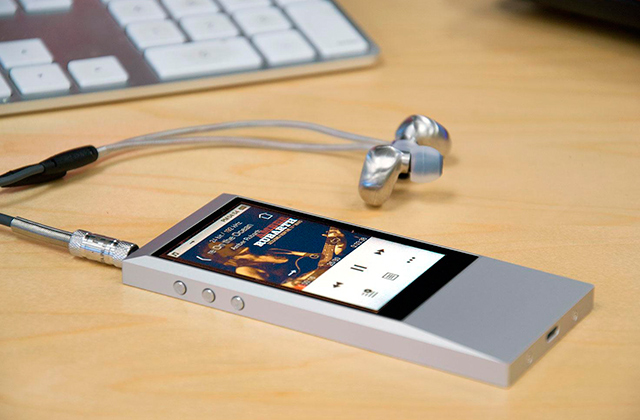 A simple and balanced model D-Link DIR-600M is just a device to the point. 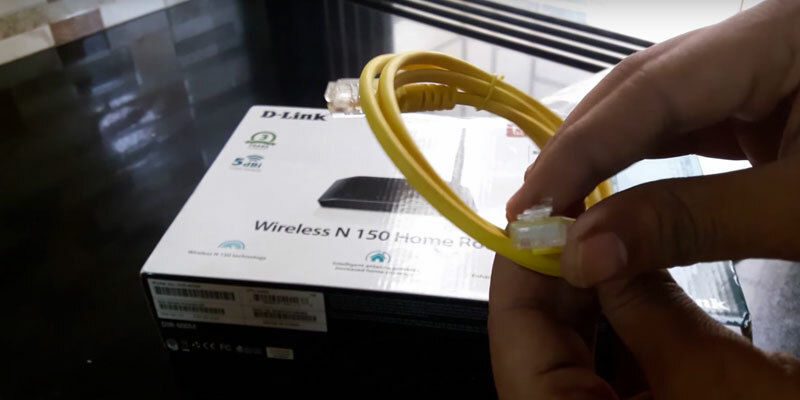 Connecting the router to the Internet with a cable, you get the access via Wi-Fi at the speed of 150 megabits per second. 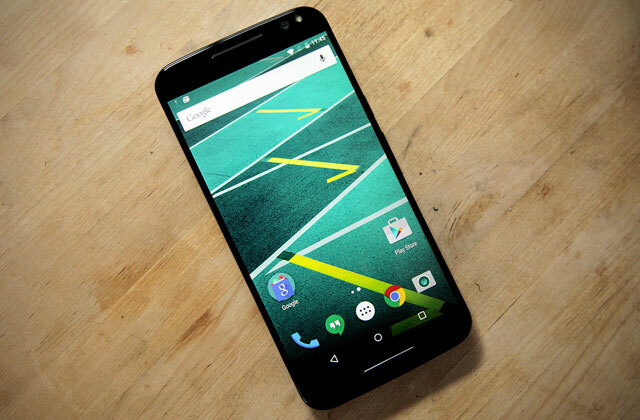 The speed this high is achievable thanks to the built-in processor and one external antenna. The antenna can be adjusted, but not removed. So there is no possibility to replace it with a more powerful one. The case is made of high-quality plastic, and the black colour and matte finish make it rather soil-resistant. Also, there are the light indicators and the grilles for ventilation in case of overheating. With this model, you will get stable Internet operation on all connected devices. 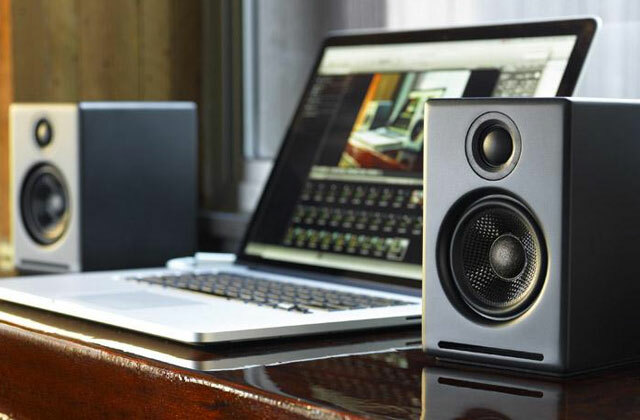 It is better to place it in small rooms for better signal transmission. It's worth mentioning that despite a rather low price, this router's security features are pretty decent. There is a WPS security protocol, which creates, configures, and further protects the wireless network in a simplified scheme. It is designed specially for the users who are beginners in the field of setting up wireless networks. There`s also a built-in firewall, which prevents malicious sites and applications from damaging connected devices. 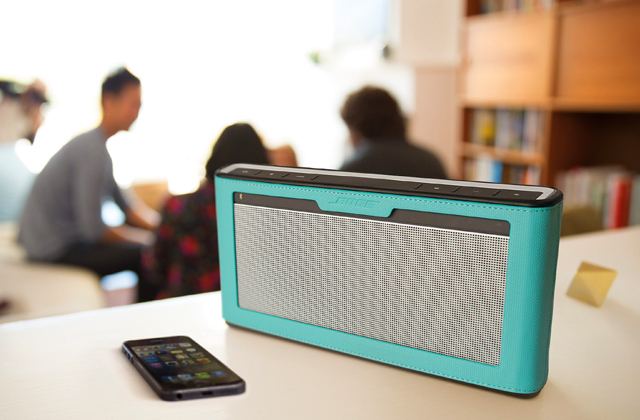 The device is compatible with all operating systems, which makes it multi-functional. And the signal transmission frequency of 2.4 GHz allows passing the signal through several walls without loosing quality. 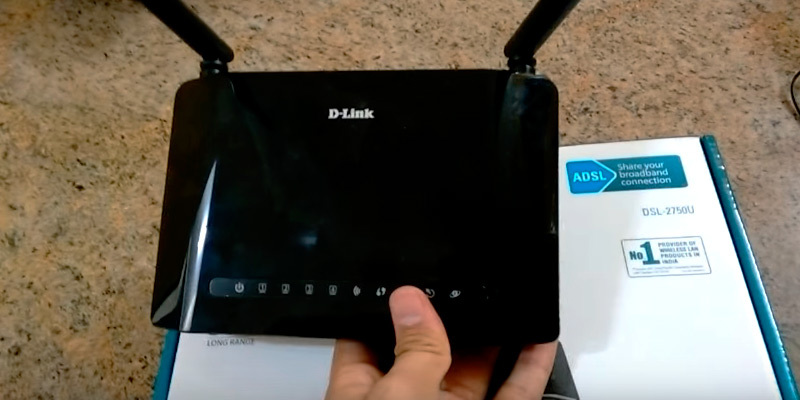 The D-Link DIR-600M router model isn't that different from more expensive analogues. Of course, Wi-Fi speed is not so high, but the number of slots available is absolutely the same. The device also features one WAN port and 4 LAN ports. This means that, even without the Internet connection, you can connect four computers to a LAN network at once for unlimited data exchange. 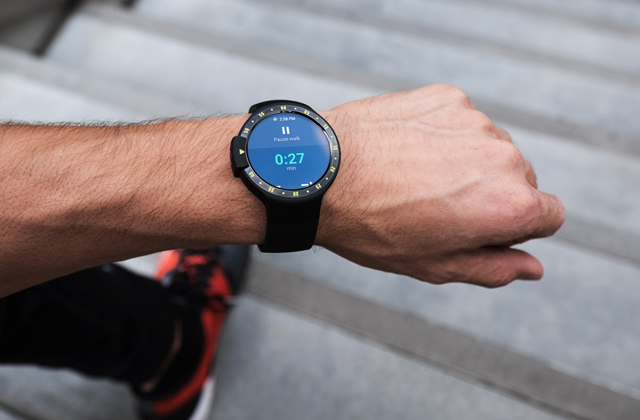 To sum it up, we can say that this product is the best option for surfing the Internet resources and watching streaming video on various portable devices. If your friends and you enjoy having rest in the open air, you will really appreciate the Wi-Fi transmitter, working from the mobile network. If the operator provides 3G or 4G networks, the speed of the Internet outdoors allows listening to music online and even watching good quality videos. Moreover, you can do this anywhere and on several devices at once. Although an Internet connection has become more of a necessity than a luxury through the course of the last decade, plenty of people still barely have a basic idea how the whole thing works and, quite frankly, nobody can blame them for that. Information technologies are intrinsically complicated, especially wireless ones, with lots of obscure terms that only the most tech-savvy people would be able to truly comprehend. Which is exactly why any manufacturer that isn't strictly aiming at an already proficient target audience should first make sure that their wireless router won't present a challenge to a more casual crowd of customers. The goal is to make a device that will be easy to set up and install, easy to operate, and generally accessible enough for people with next to no knowledge in the field. On top of that, you have to make sure to check all of the proverbial boxes without sacrificing some of the most important aspects of a router, be it security or speed. 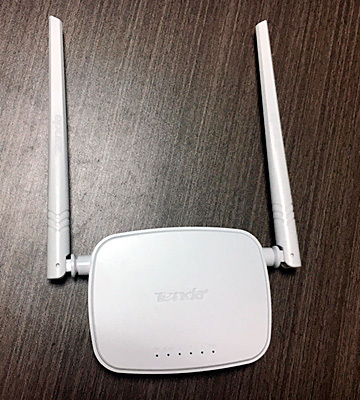 As you might imagine, this is certainly not the easiest task out there, but, suffice it to say, people behind the Tenda N301 Wireless Easy Setup Router have been able to accomplish this task better than the majority of their competition. As we have previously mentioned, the most important aspect of a router that is targeted towards the most diverse group of customers is simplicity. The manufacturer has to make sure that anyone will be able to start using their model straight out of the box without paying a specialist or spending hours learning about this stuff. The model in question is capable of accomplishing this goal by delivering an incredibly simple installation process that requires no more than 3 easy steps to get your secure wireless network up and running. All you have to do is connect the power adapter to the nearest source of electricity, plug in an Ethernet cable into the router, and receive a connection with a wireless security encryption at a single push of the WPS button. Not only is this method considerably faster compared to your average security setup but it is also a lot more convenient since there's no need to remember the password. Though it really doesn't get easier than that, the company also included an installation guide in case you manage to run into some kind of an obstacle along the way. Now, as important as a simple process of installation may be for a device like that, it wouldn't be able to sell without all of the basics that make a wireless router what it is. 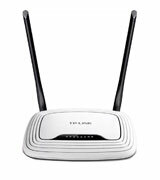 Fortunately enough, this model has you covered there as well, supporting all of the standard security protocols like 64/128bit WEP, WPA, WPA2, and WPS, featuring a port forwarding function that is quite important when it comes to downloading files, gaming, and VoIP communication, and providing a bandwidth control option in a crowded household. On top of that, this router also comes equipped with a parental control system that will allow you to filter websites, clients, and MAC addresses, making sure that some of the youngest members of your family won't be exposed to those parts of the Internet that aren't necessarily all sunshine and rainbows. Before we wrap this review up, we would be remiss not to mention the fact that this portable wireless router includes a data transfer rate of 300 Mbps a second and a frequency band of 2.4 GHz, which isn't unprecedented for some of the more expensive options on the market but is quite impressive given the price tag that this model comes with. Furthermore, it comes with a remote web management that will allow you to access your router from anywhere and a system log that will always let you know who exactly has been using your router. The only notable disadvantage of this device is its relatively short range, meaning it might not be the best option for you if you happen to occupy a relatively large household. 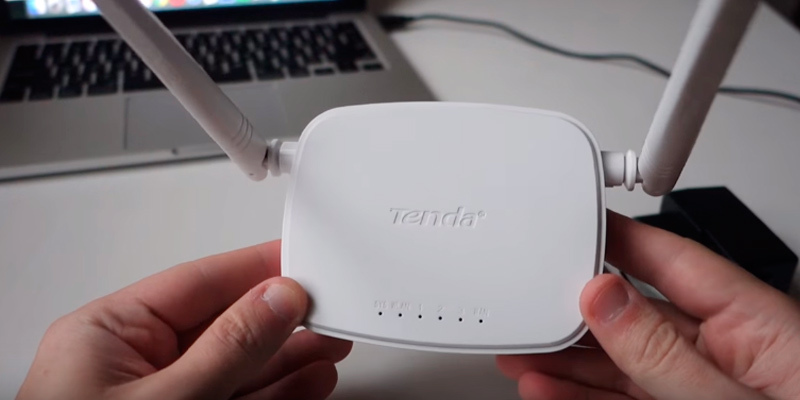 Other than that, the Tenda N301 Wireless Easy Setup Router is one of the best wireless routers out there for a casual crowd given how easy it is to set this whole thing up and get it going. Even though this is a relatively cheap model, its specifications do not trail behind compared to most high-end routers out there. 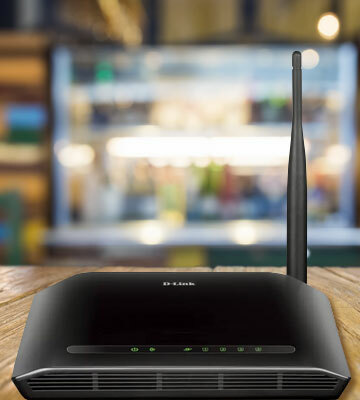 In this Wi-Fi router review, we will take a look at the comparison features of 5 best wireless routers that can be used both at home or in the office. 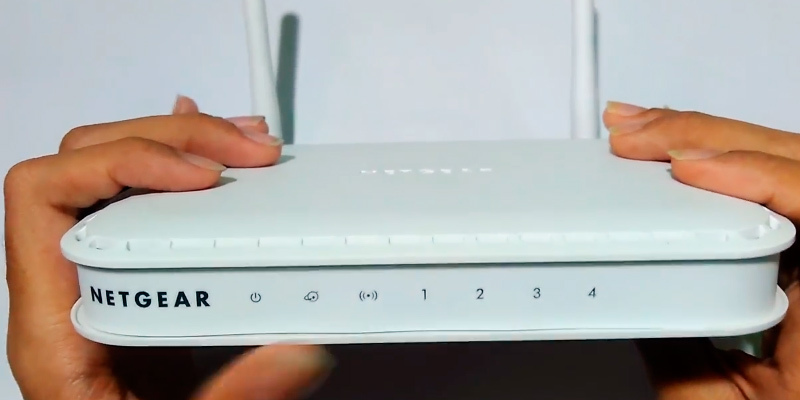 So, what is A Wi-Fi router and why is it used? 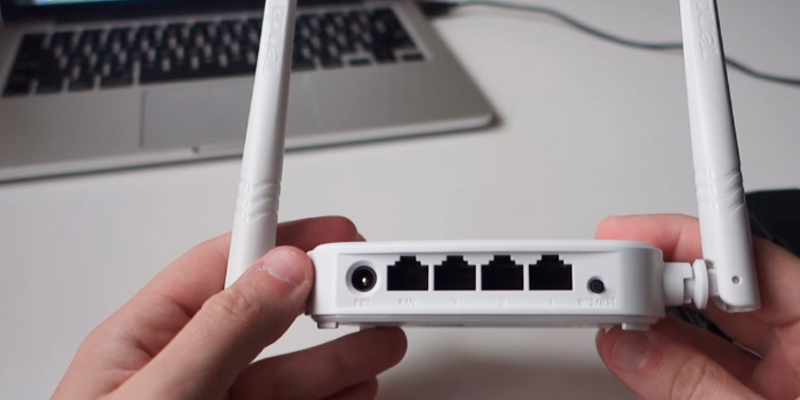 With this small device, it's possible to create a whole wireless network for going online from different gadgets at a time, sharing files and transferring information between multiple connected devices. Most modern Wi-Fi routers can also be used as cordless modems, sparing the user purchasing extra devices. All you need to get started to browse the net is connect the Internet cable. The advantage of living in the era of rapidly evolving technologies is that it's easy to find a solution to almost any problem you may face. So, even if your laptop isn't new and it doesn't have a wireless capability, it is still can be used in your network. You will only need to get a special USB wireless adapter. To make our comparison more informative, we've intentionally selected Wi-Fi routers with different price tags, so you can find the model that will suit both your needs and your budget. The first characteristic that you should check out when selecting a router is the range of signal transmission. So, if you live in a small flat, you can opt for a model with a narrower coverage area, while if you seek for a router to use in a big building, house or office, it's recommended to choose the model with a bigger range. 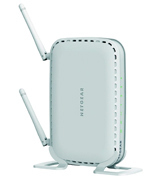 The efficient range of Wi-Fi routers is usually specified by a manufacturer. However, you can also pay attention to the number of built-in and external antennas to understand better how good and strong the signal will be. Usually, the more the better. You should also consider the data transfer rate of the chosen router. Remember that it's always got to be higher in a Wi-Fi router than it is from your Internet provider. In order to create a real network in a big office or building, you will need to look for the model with the highest data transfer rate to establish a fast and good signal transmission. The type of wireless protocol used will also have an impact on the Internet speed. The connection and control features will tell you of how reliable the connection will be. The routers with a special guest network will enable you to establish an allowed number of connectable devices within your network. This feature will come especially handy for those users who need a device for office use. Q: What is the difference between Wi-Fi routers and the wired ones? A: As for wired models, it can be said that they have a rather good capability. These kinds of routers are able to provide high-quality data transmission speed. The disadvantage is that all the cords around you can hinder and make you irritated. Also, the devices which are not connected to the router do not have coverage, so you cannot use several of them simultaneously. 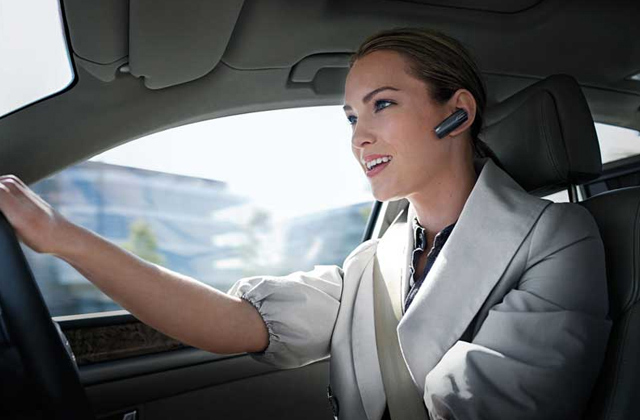 Considering that, wireless models are undoubtedly more convenient. Some of them can transmit the signal even to eight gadgets at once. Q: Can the router be located far away from the devices connected to it? A: Basically you can place it anywhere, but it`s necessary to keep in mind that not all models are able to transmit a long distance wave. 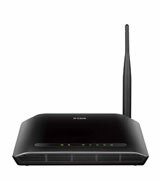 Depending on the router power, you should choose the proper model for big offices or buildings or for an average flat. The less powerful ones will have a weak signal and the working process can be interrupted. Q: What about speed? Is it good? A: Generally, it depends on your provider. Nowadays, the signal transmission speed of most providers is not bad, but things happen. In order to avoid such kind of problems, it is advisable to find out this beforehand. Q: Do these devices have any security systems? A: Of course, they do. Some models can offer very good protective functions, such as a security protocol. 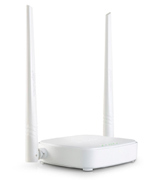 It creates, configures and after that protects the wireless network. Others are not that strong but they are quite satisfactory for a personal use. Modern models also can have a built-in firewall, which prevents malicious sites or applications from damaging connected devices. So you have no reasons to be concerned about viruses or something like that, as all your data is protected. Q: Are there any risks that the router will be overheated? A: In order to prevent overheating, a lot of models are equipped with ventilation grilles. Other devices may not have this function. Depending on how powerful the router you need and how long you want to use it (at home or in the office), you can choose a suitable model from a variety of models available. Typically routers don't tend to overheat that much. Q: Is it possible to remove built-in antennas or to replace them with more powerful ones? 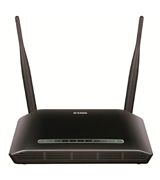 A: There are routers with the built-in antennas and the external ones. Speaking of those with the built-in ones, you will not be able to remove and substitute them as they are hidden inside and therefore, demountable. External antennas can also be of two types: removable and not. If this is important to you, consult the product's specification right before you make an order. 1. Tyler Lacoma Confused about Wi-Fi routers? Here’s how to buy the right one for your home, DIGITAL TRENDS. November 30, 2015. 2. Wireless Router Buying Guide, Consumer Reports. 3. How to Choose a Wireless Router, wikiHow. 4. Dong Ngo Networking buying guide, CNET. September 14, 2016. 5. Ivan Mehta Buying a Wi-Fi Router? Here Are the Features and Specifications That Matter, Gadgets360. March 30, 2015. 6. 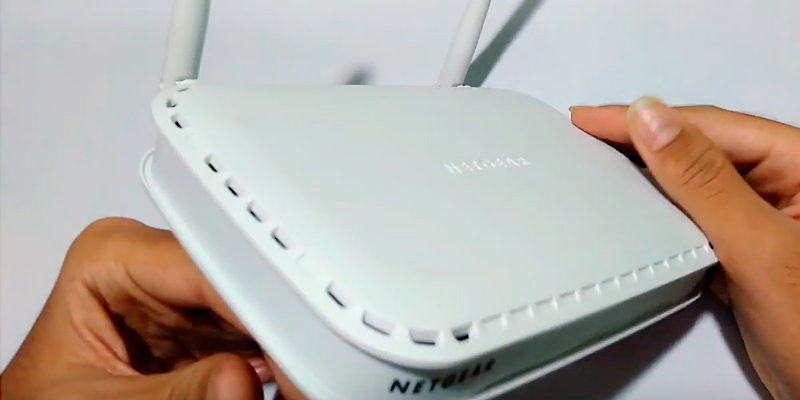 Joe Moran 10 Must-Have Features for Your Next Wi-Fi Router, PracticallyNetworked. 7. 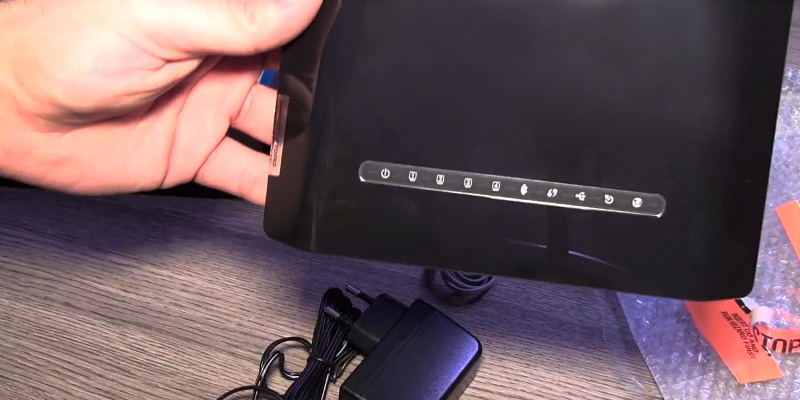 David Chernicoff 7 Router Features You Should Be Using for Better Wi-Fi, PCMag. November 3, 2015. 8. Jeff Dunn Google just announced a new Wi-Fi router that's made to blanket your home with internet, Business Insider. October 4, 2016. 9. Wireless router, Wikipedia. April 21, 2017. 10. Chris Woodford Wireless Internet, ExplainThatStuff. April 27, 2017.